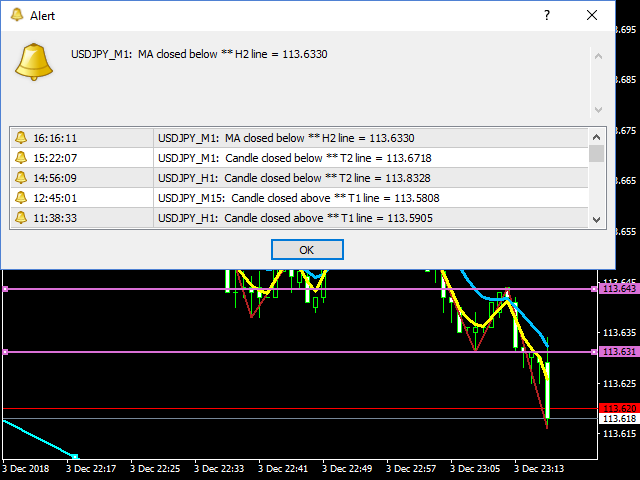 This indicator uses two horizontal lines, H1 and H2, to create a horizontal channel. You can move these horizontal lines anywhere on the chart in order to create your Horizontal Channel Zone, H1 must always be above H2. An alert and a notification is sent once the zone has been broken. If the alert is set to true, then when a candle closes above H1 or below H2 an alert will be sent. 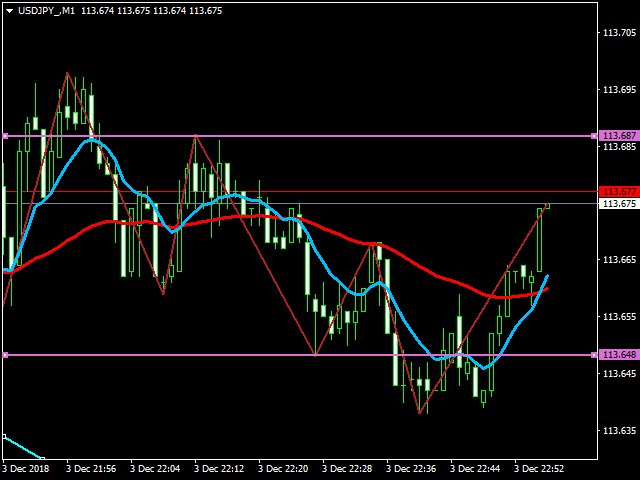 If the alert is set to false, then when the Moving Average moves above H1 or below H2 an alert will be sent. 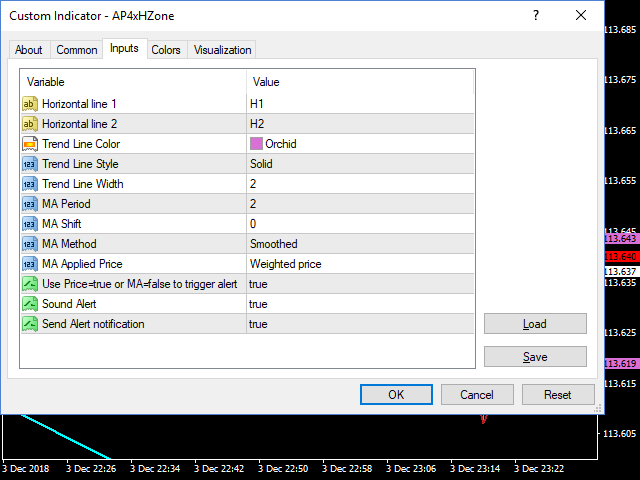 Note: you can change the default settings for the moving average. I hope you will find this indicator very useful, as I do. Fixed continuous alert when horizontals are crossed. Confirm that Moving average has crossed horizontal line. Location of moving average was being lost.